In 2014, Cincinnati’s first suburban Sears, Roebuck & Co store on Reading Road in Avondale was falling apart. The building, first opened in 1929 as a top-of-the-line neighborhood department store, was slated for demolition by the University of Cincinnati. 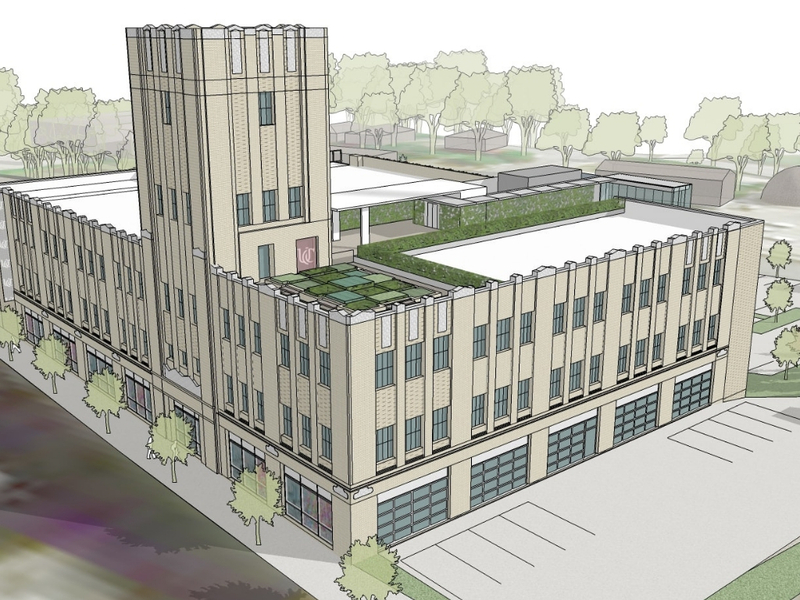 University Architect Mary Beth McGrew had a more sustainable idea in mind for the Art Deco structure as plans for the Uptown Innovation Corridor came into focus. A359 Partners in Architecture was hired to study the viability of transforming the building into something entirely new. 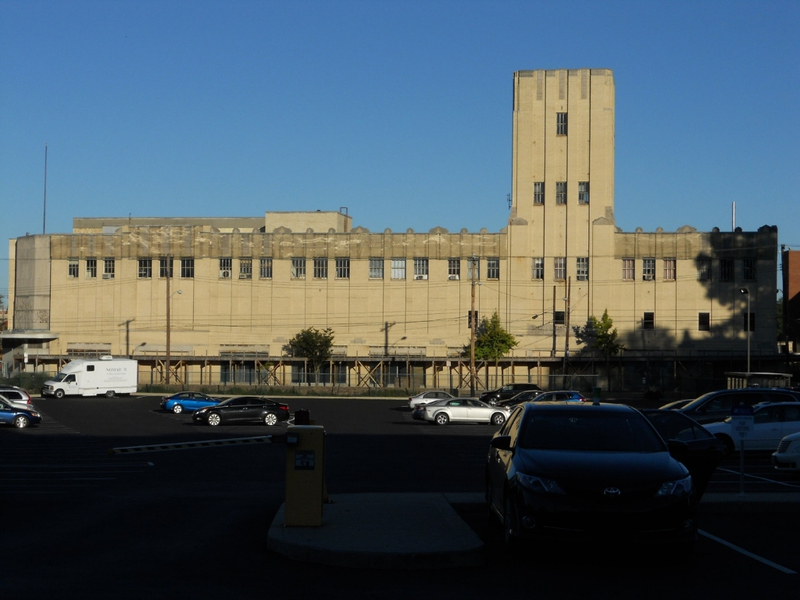 A359's investigation and analysis ultimately led to a plan of adaptive reuse. Some parts of the building would be torn down, other parts rebuilt and new features added like a four-story atrium. 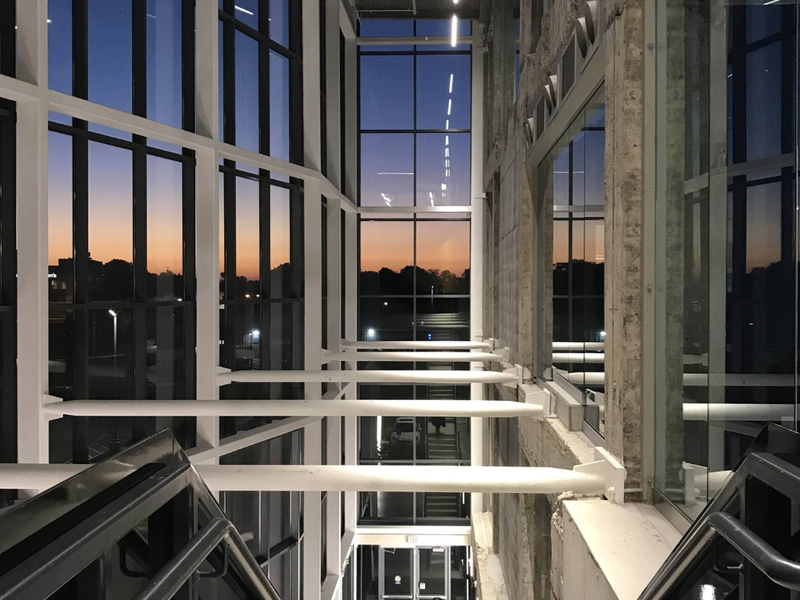 The glass atrium would provide light to all floors, transform the façade and enhance the building's connection to the neighborhood. Most important the building’s 98-foot tall iconic tower was fully restored. A359’s overall strategy was to maintain the historic structure while infusing it with technology-rich amenities and social gathering spaces. 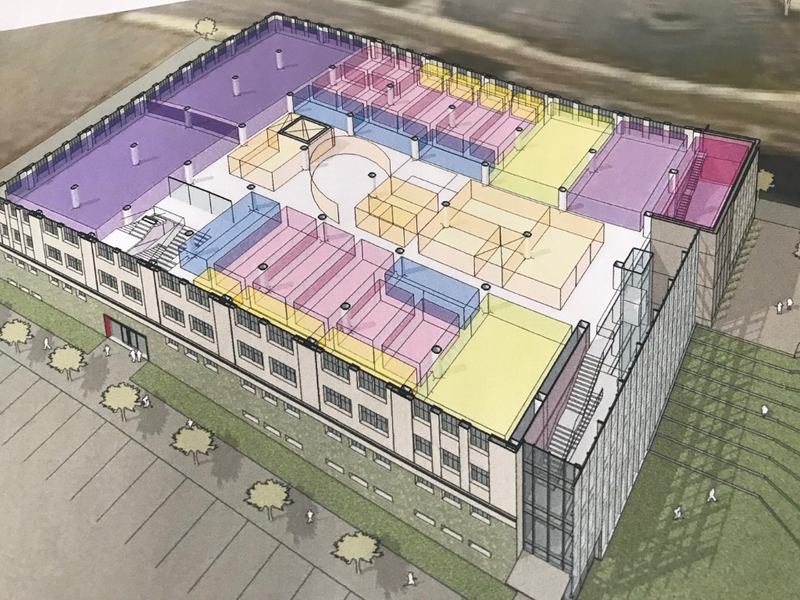 The project includes a makerspace and high-bay lab area in addition to classrooms, shared work areas and office suites for industry tenants. While portions of the exterior facade were rebuilt as the existing wall sections did comply with code requirements and had been significantly altered over the years, the new doesn’t completely replace the old. “We were able to keep many architecturally rich pieces.” Kissel explained. “Some stone pieces were recast and portions of the exterior detailed very much like the original. It’s a credit to this team that the design, incorporating both preservation and new construction, could be made to look so seamless." 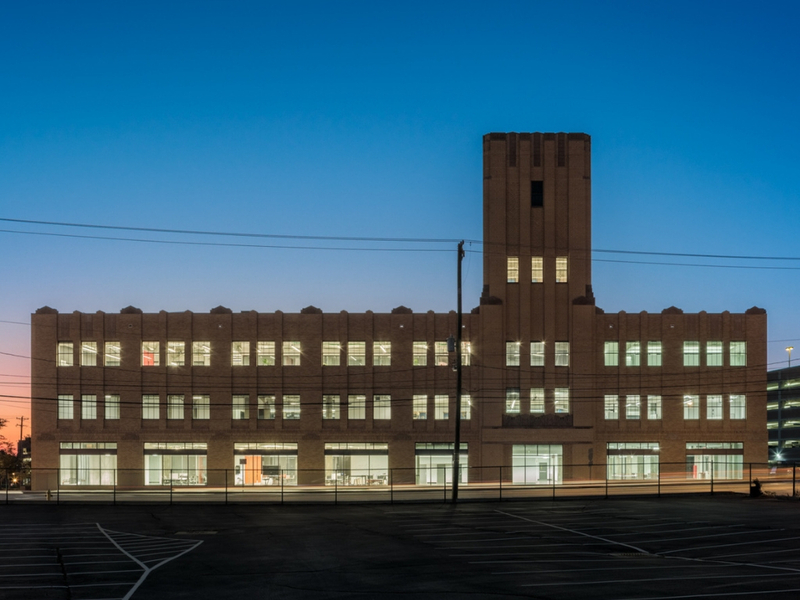 The primary building facades were returned to match the original design, opening the building back up to the street and restoring views and opportunities for natural light. The re-purposing of this facilty marks the onset for future development in the area with a focus on innovation and technology. “UC understood that this project could be a catalyst for the newly formed Innovation Corridor,” said Cori Cassidy AIA, Principal at A359 “We have responsibility as architects to strengthen community infrastructure, and with so many buildings being subtracted from the landscape, it was important to save this once vibrant neighborhood hub." Spearhheaded by Cincinnati's Uptown Consortium, new facilities to the north of the Innovation Hub site are being designed for expanded partnerships with the University, industry, and community entities. The area is envisioned to be a vibrant mixed use community to support the area's medical, research, and innovation industries. 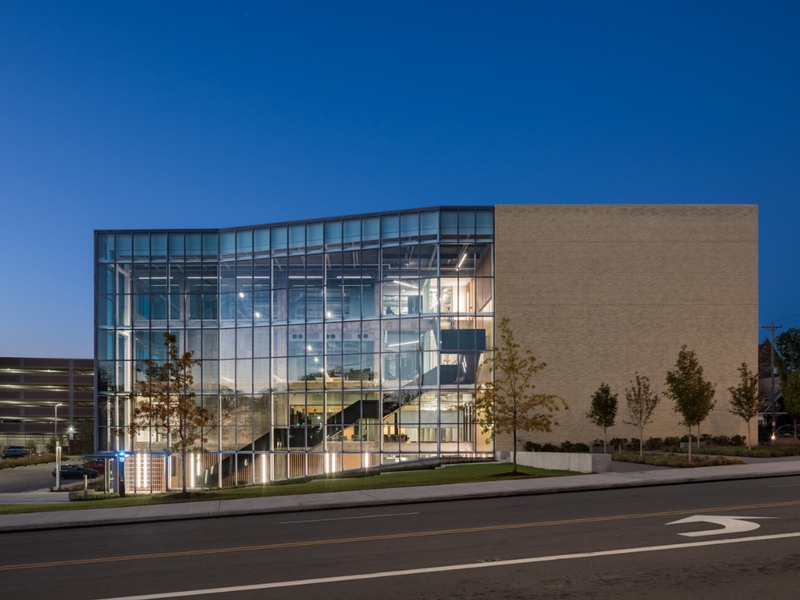 As architects for UC's 1819 Innovation Hub, A359 Partners in Architecture designed spaces for planned “collisions” between business and academic tenants. 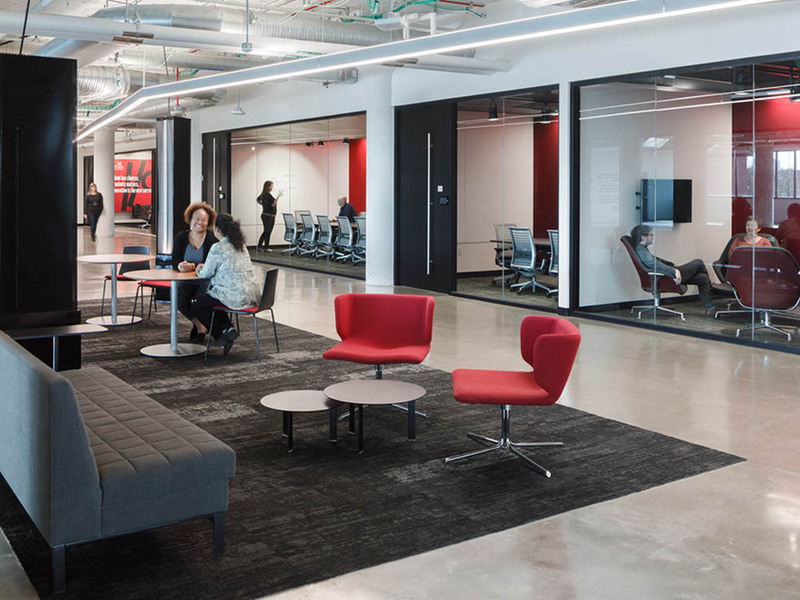 Designs connected central areas to the building’s shared spaces: flexible classrooms, conference rooms of varying size and small group huddle spots. The integration of transparency and openness into each learning or lab space allows users and guests to see the innovative projects taking place beyond the shared areas. Even before the planned October 5, 2018 Grand Opening ceremony, occupancy is almost full. Top tenants such as Kroger, Cincinnati Bell and Procter and Gamble have innovation centers in the building. The UC Simulation Center, a partnership between Procter & Gamble and the university, capitalizes on the College of Engineering and Applied Science’s computer simulation expertise to provide P&G with cost-effective, high-value virtual modeling capabilities. The Live Well Collaborative and the UC Research Institute (UCRI) also have space in the building. David Adams, CEO of UC Research Institute, likens the 1819 Innovation Hub to a creative “supercollider” where students, faculty and business people from multiple disciplines will work together to solve meaningful problems. One of our professors who developed an app called HiLois, which combats senior isolation, learned from an intern here that UC students have volunteer service hour requirements. An Adopt-a-Grandparent club was formed with a local retirement community to use HiLois in a pilot program. With news reports of so many building demolitions, the A359 team is not only on a mission to reuse buildings that have historical and community value, but to tailor their purpose for today’s culture and lifestyles. A359 has a particular passion for redeveloping underutilized spaces and giving them a new-found trajectory. 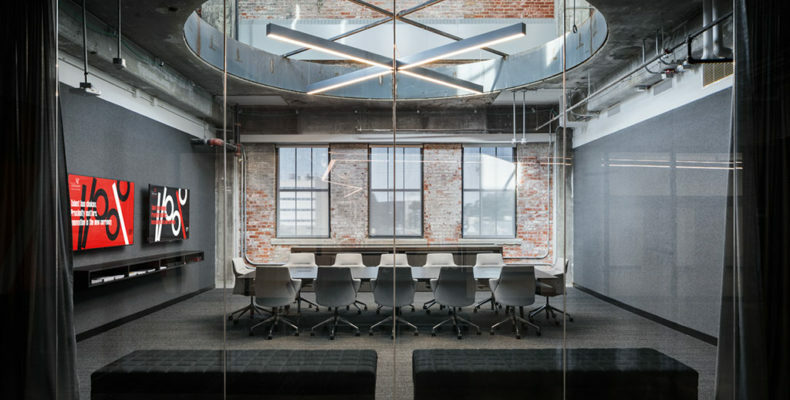 Adaptive reuse projects require a rigorous process of discovery and evaluation that the firm is experienced in. 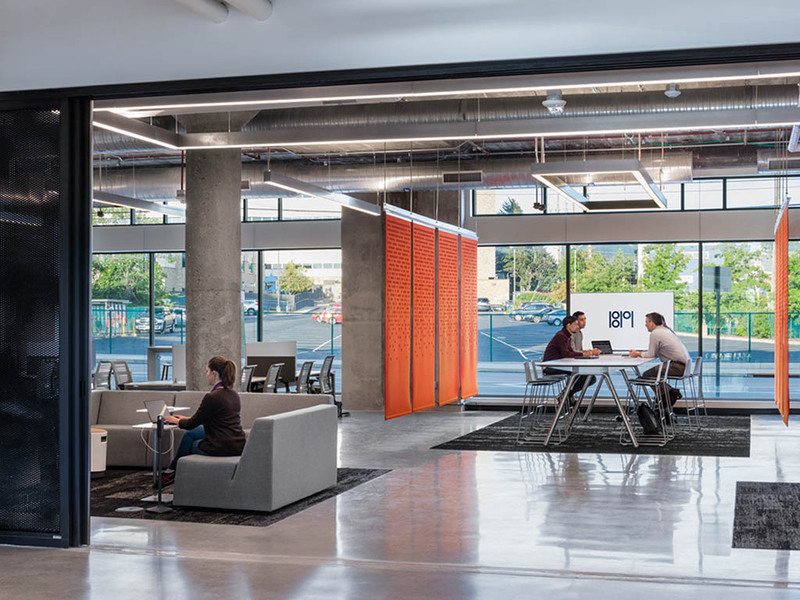 The renovation of existing facilities also provides the opportunity to transform structures with an approach to sustainability, infusing spaces with the contemporary needs of today’s users while maintaining a connection to the past. Sears was the Amazon of its day. As Sears seems to be leaving us, there is some part of that history that is being kept here. That’s important and that’s good for our city.